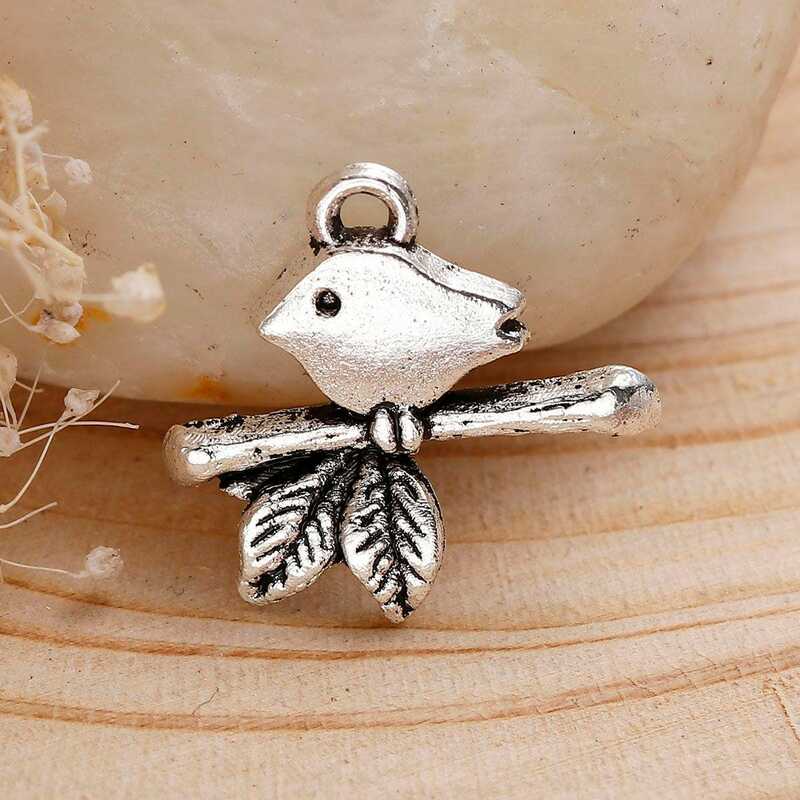 10 antique silver bird on a branch charms. 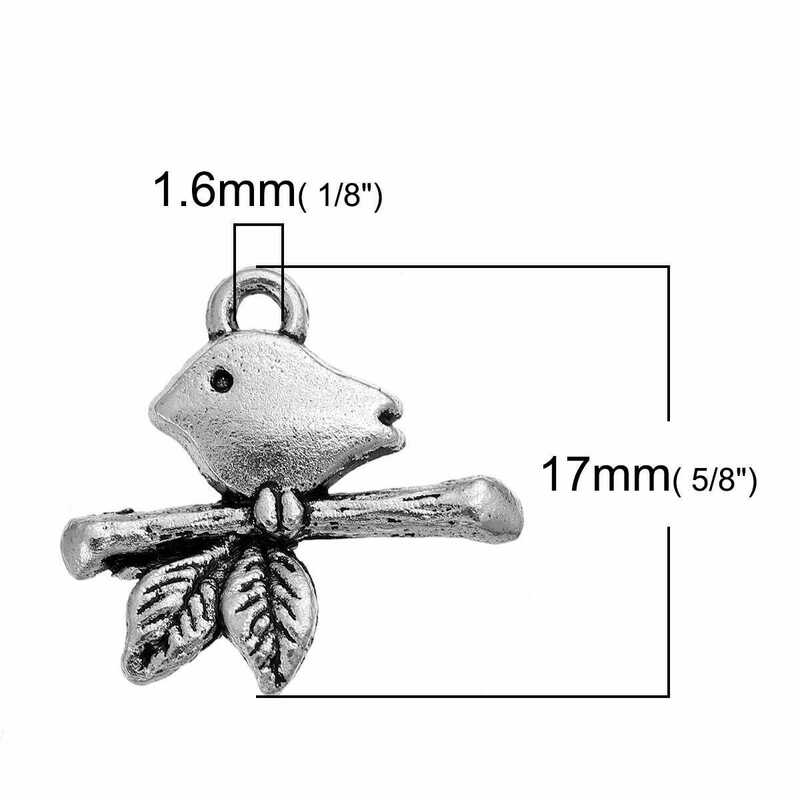 These charms are single sided and measure 17mm x16mm( 5/8" x 5/8"). 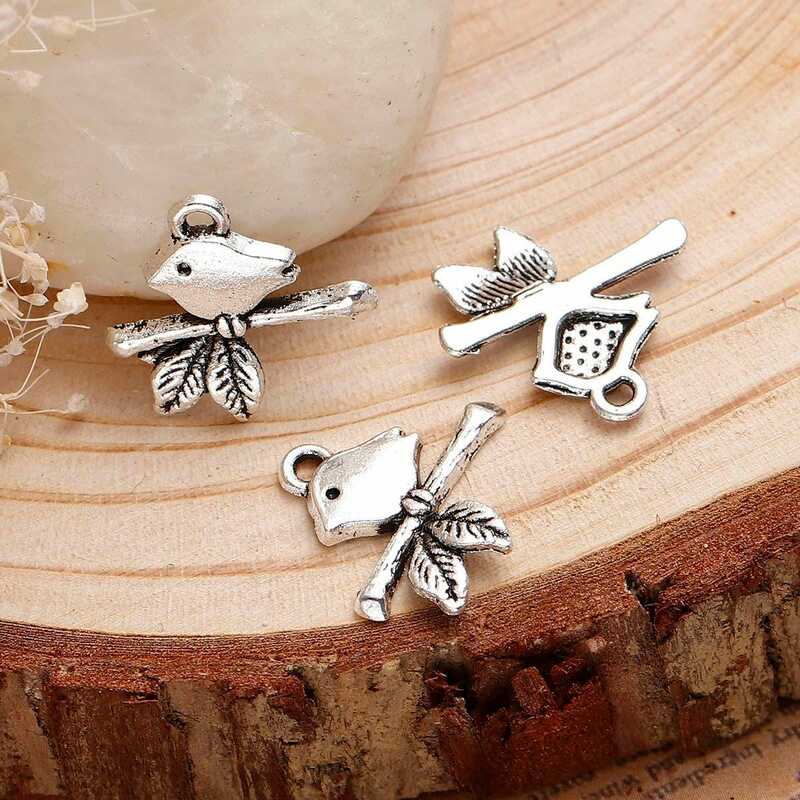 Perfect for earrings, zipper pulls, bookmarks, key chains, stitch markers. Zinc metal alloy, lead free, cadmium safe. Adorable beads. Nice size. Thank you!